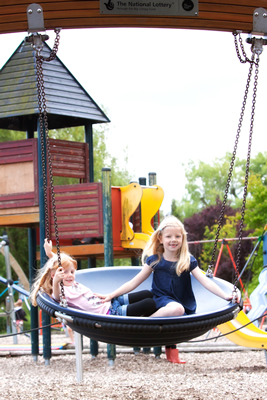 The play area is ideal for kids up to the age of 12, with activities designed for younger children as well as older, more adventurous kids. 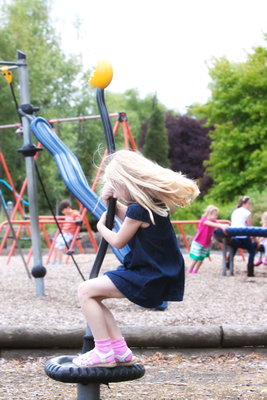 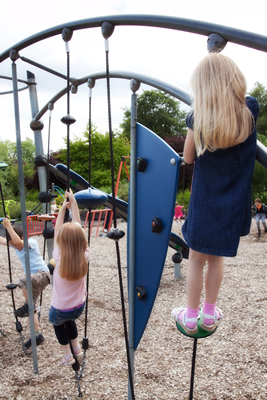 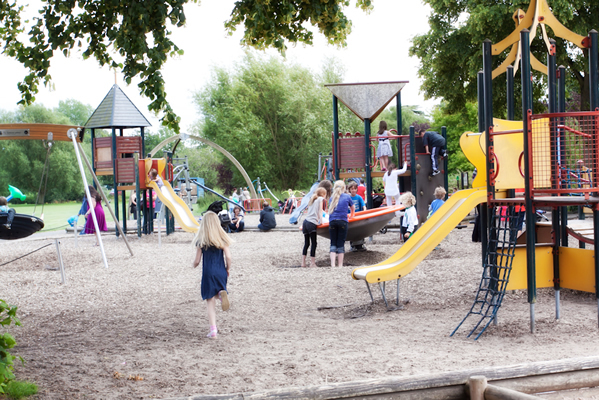 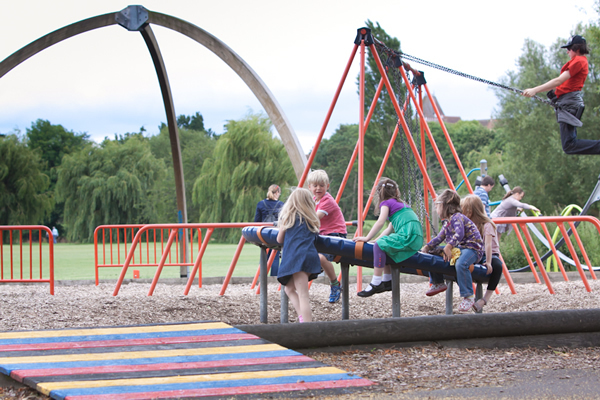 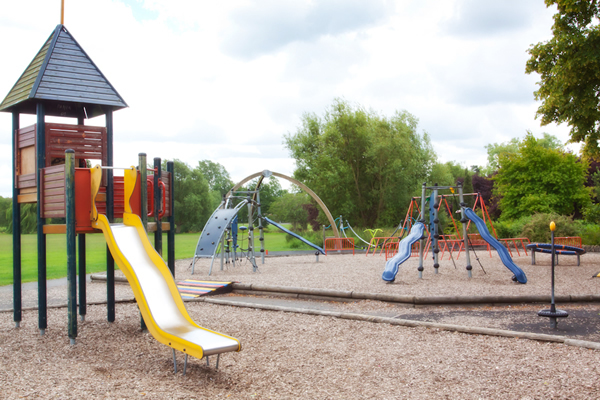 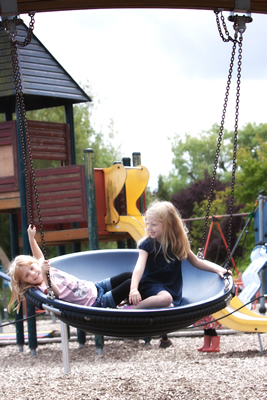 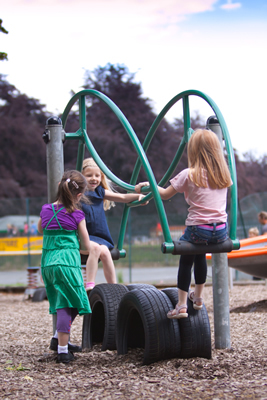 With swings, climbing frames, slides and more, the play area is set right next to the open lawned areas of St Nicholas Park, so there's lots of room for games and activities both on and off the adventure playground. 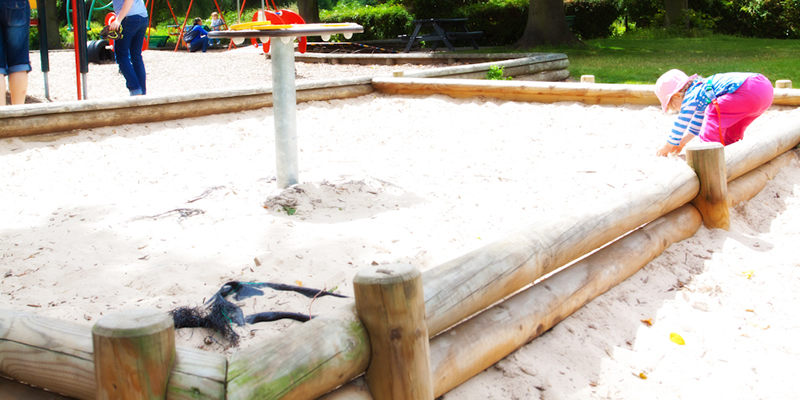 There are also useful seating areas around the play area, so there's space to relax, sit down and watch the kids have the time of their life!